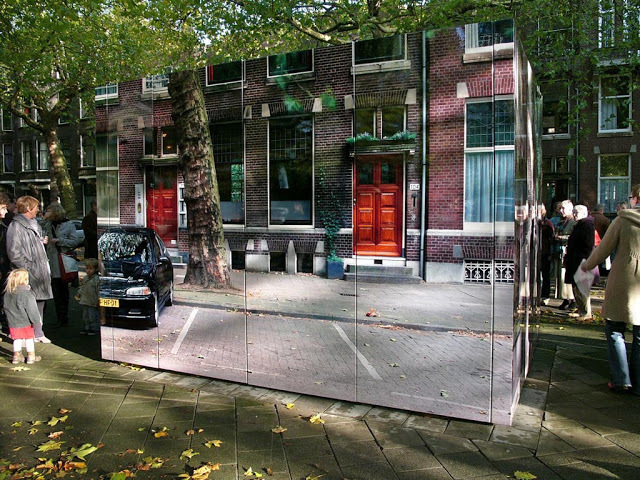 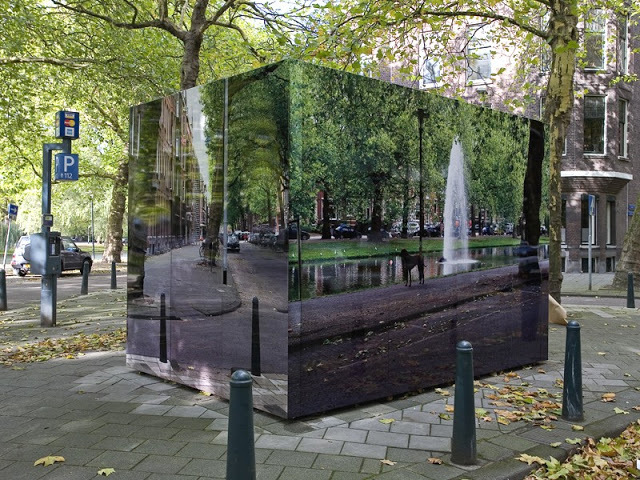 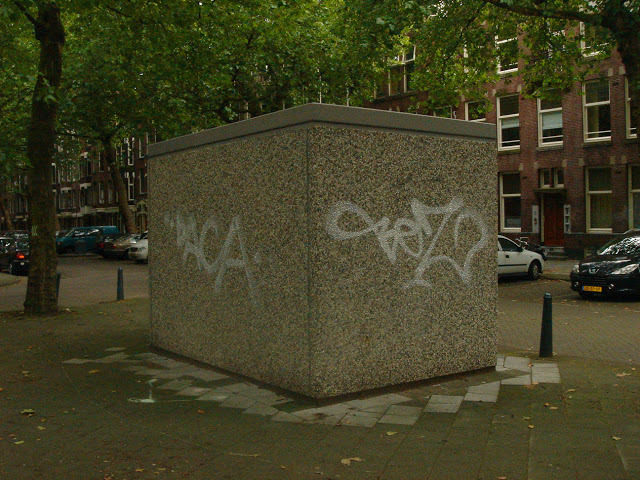 A series of art installations in urban environments of Rotterdam. 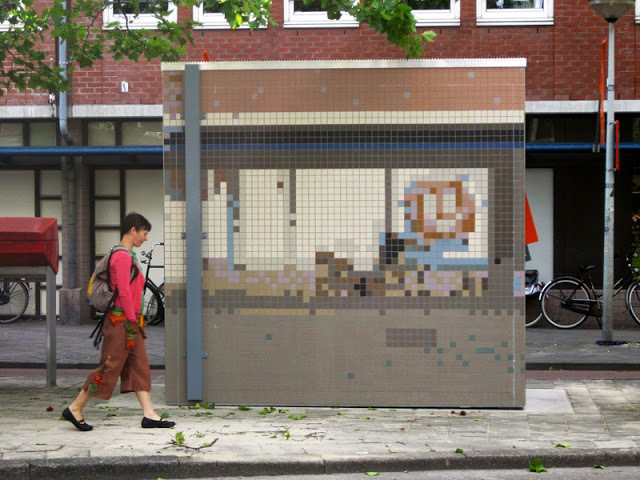 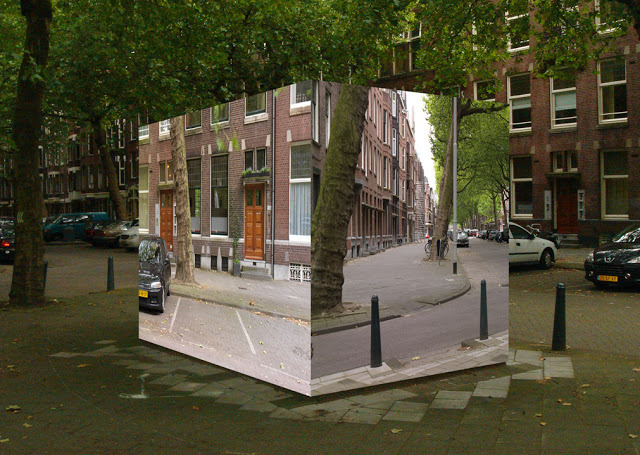 Dutch designer Roeland Otten uses photographic prints, mosaic tiles and paint to camouflage misplaced public eyesores on city streets. 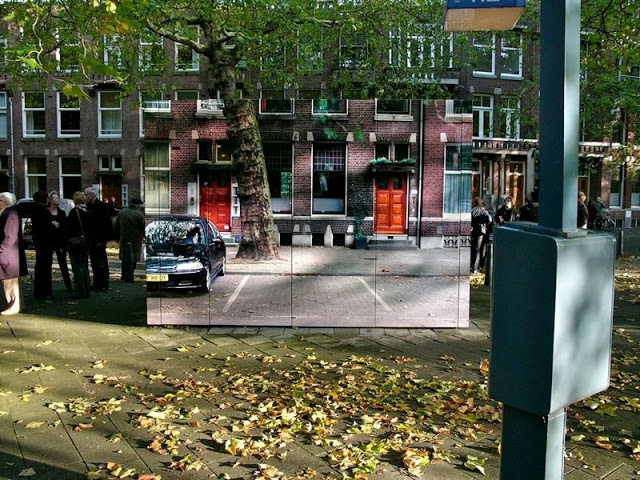 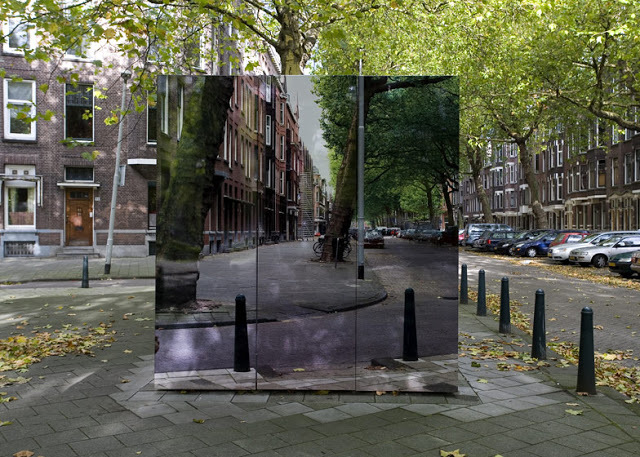 Otten's project began in 2009 when he covered a large electricity substation on the corner of Graaf Floristraat and Heemraadsingel in Rotterdam, with high-resolution photographs of the surrounding streets making the large structure disappear. 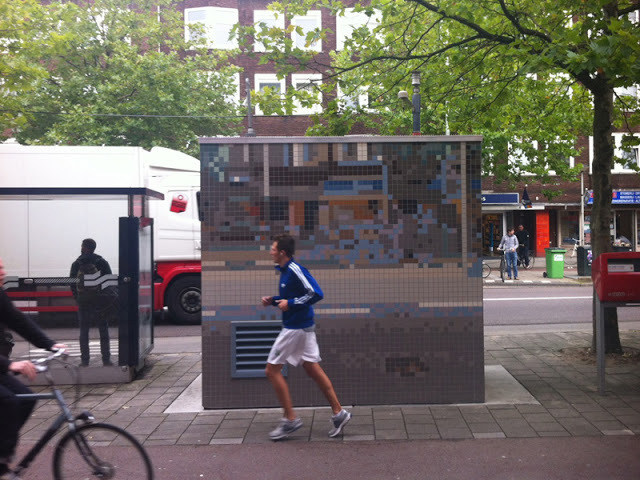 For his latest project Otten camouflaged the little concrete building of GGD Amsterdam with little mosaic tiles, creating a pixelated view of the surrounding area.